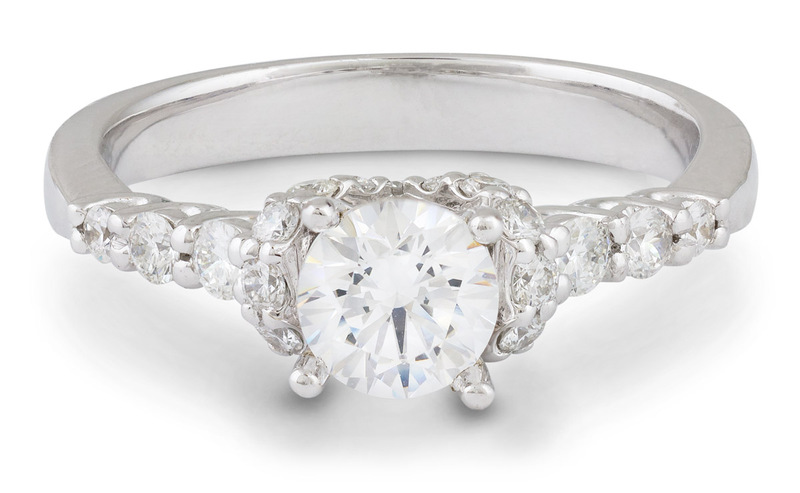 This gorgeous engagement ring has a cathedral style shank, with a marquise scalloped pattern on either side of the center stone, accented with round brilliant diamonds. 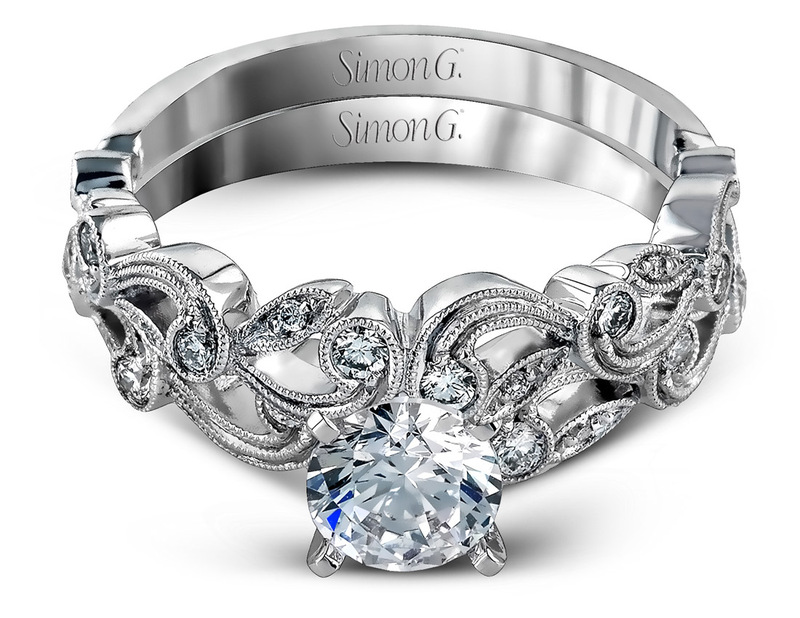 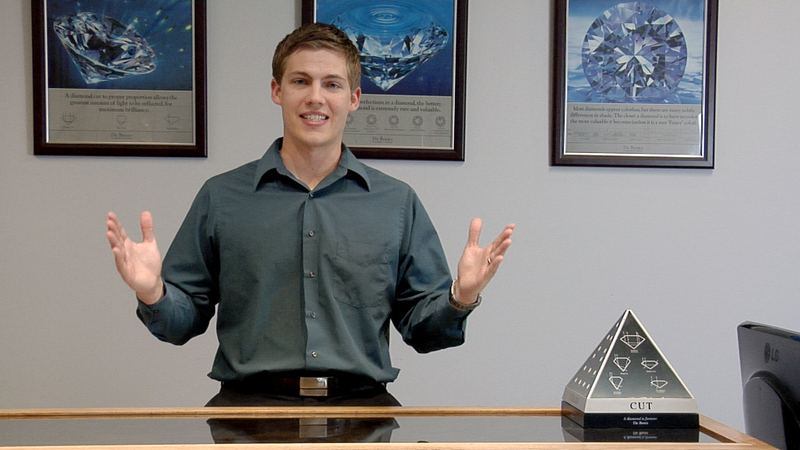 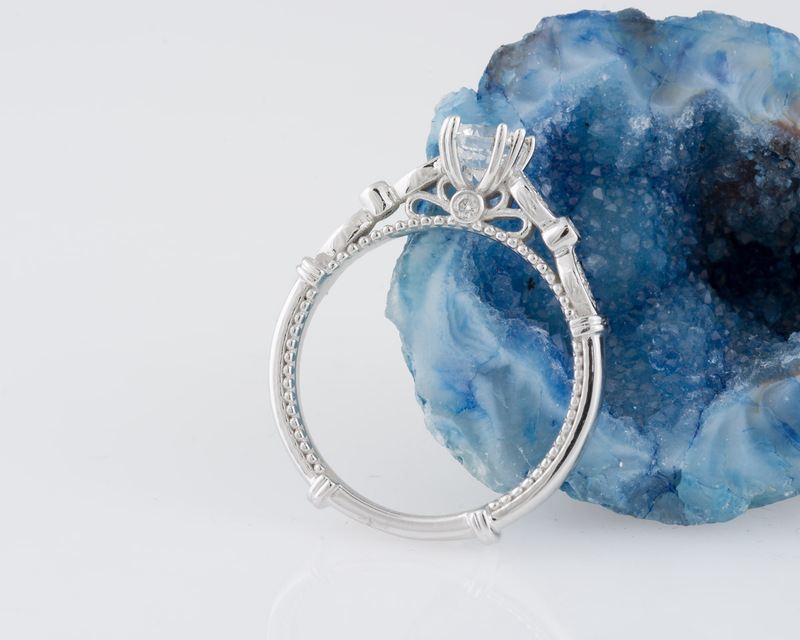 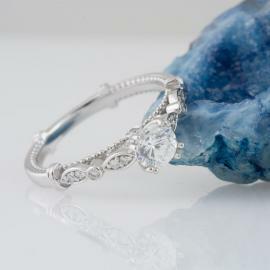 Beneath the center stone, there is a looped bow design, with a diamond accent. 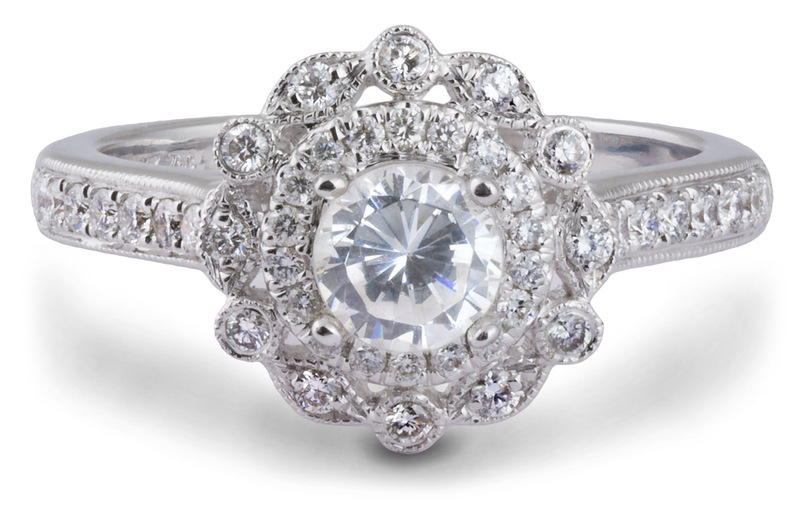 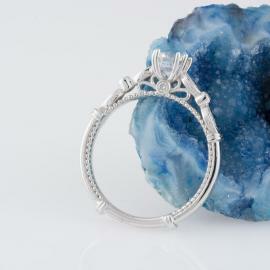 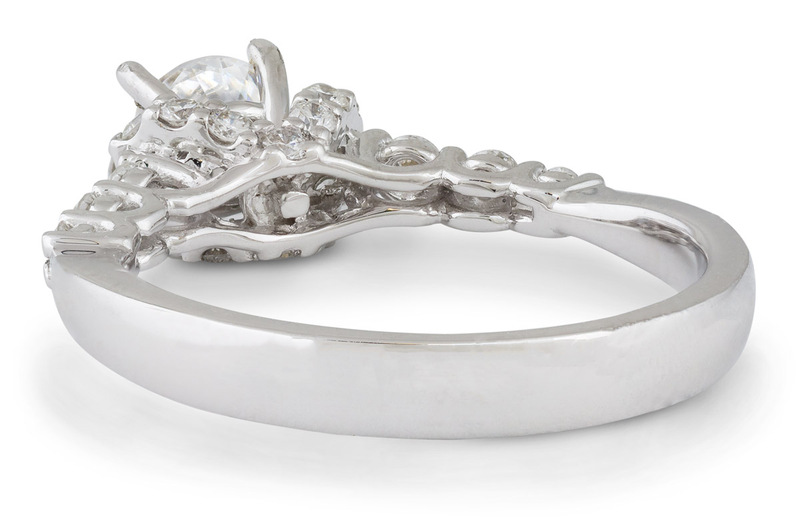 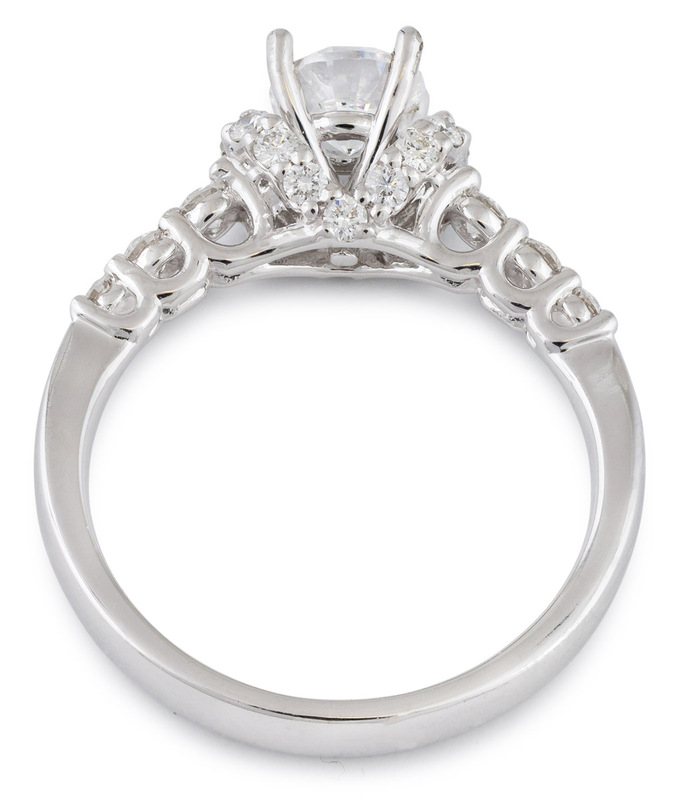 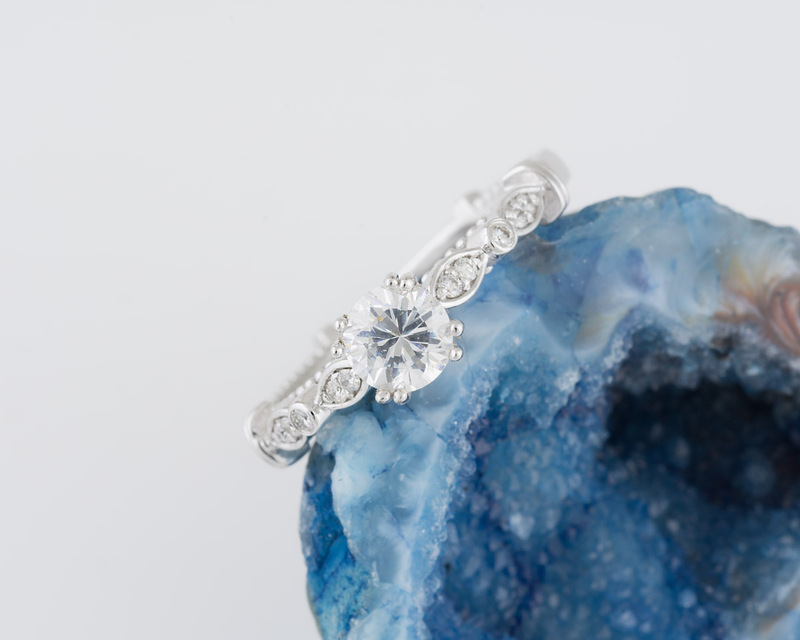 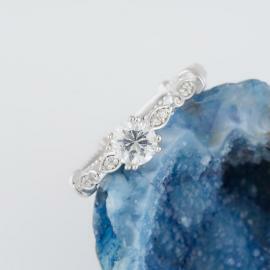 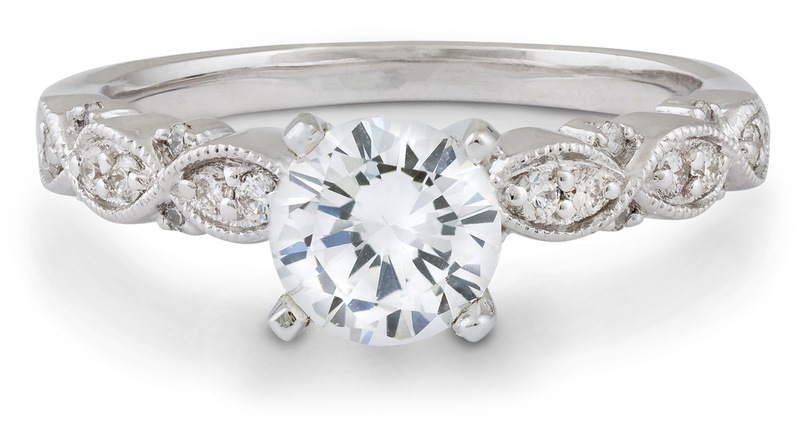 The center stone is set in an elegant split prong head. 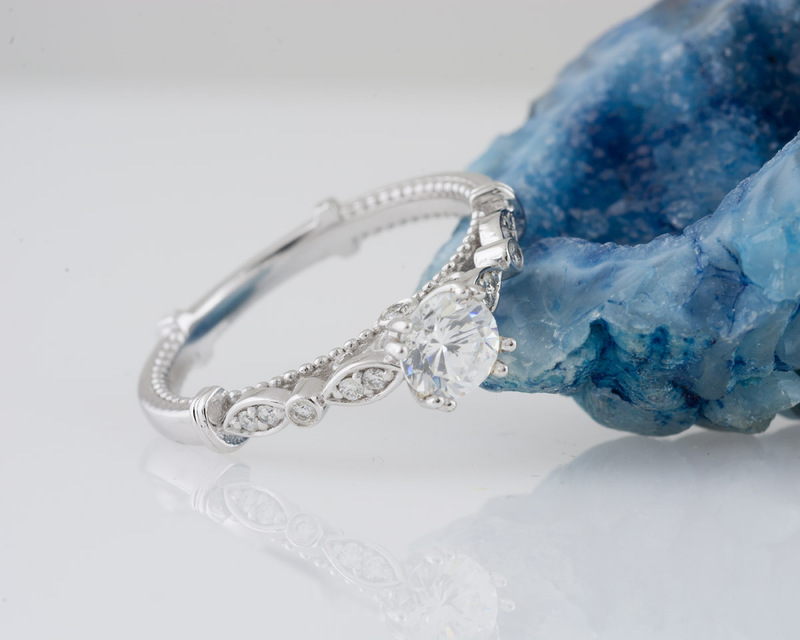 The finishing touch is a milgrain detail which goes almost all the way around the inside edge of the shank.